Signed, limited edition, hand bound accordion book with embossed outer cover, vellum inner cover, 14 images, title page, colophon and short text describing the work. 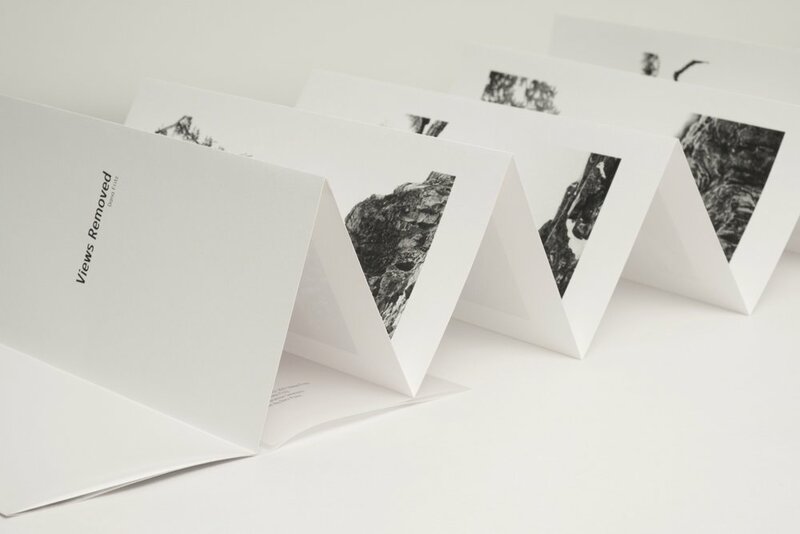 This self-published artist's book bound by Datz Press brings the vertical images from Views Removed into an accordion format reminiscent of Japanese folding screens. Signed, limited edition handscroll with ten 4"x10" images, title, and short text describing the work printed on Murakumo Kozo paper.